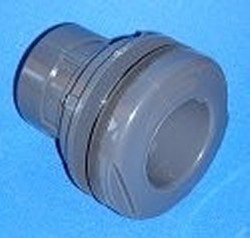 Schedule 80 2" bulkhead fitting (2" slip socket on the front and back) With VITON FKM gasket. 150psi at 73F rating. NSF-61 Potable Water Rated. Click here for specs (M1 is the hole diameter). 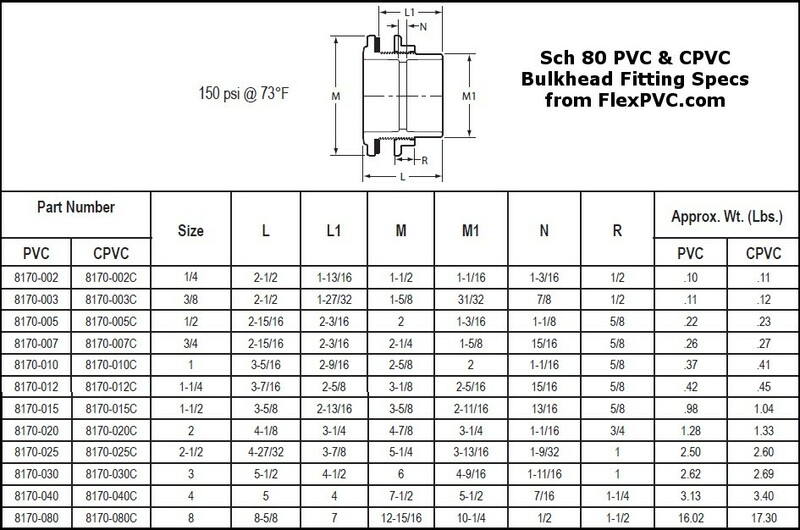 For wall thickness up to .87".